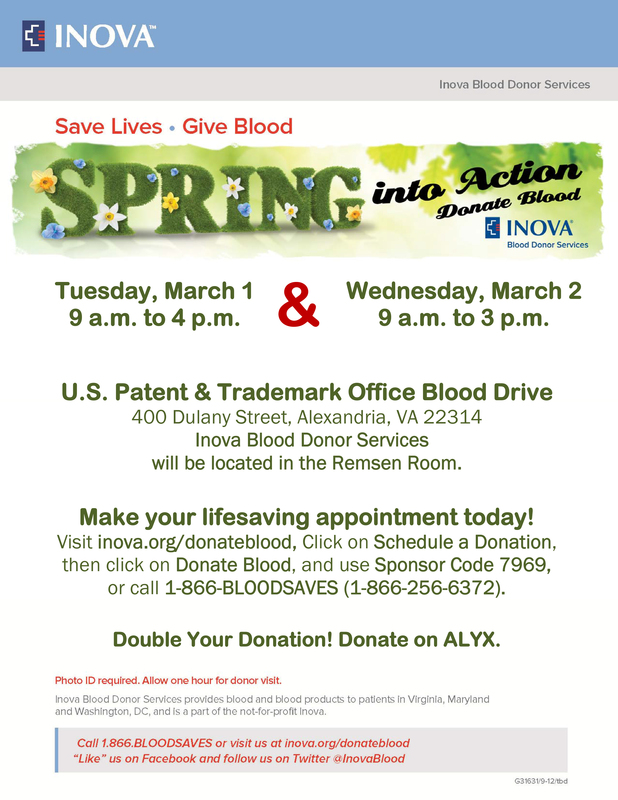 Spring Into Action: Donate Blood! Healthy blood from PTO Fitness members can help the USPTO reach their goal of 2016 blood donations in 2016! Receive a special treat from a ProFIT staff member when you book your appointment between 9am and 1pm on Tuesday, March 1st, and between 11am and 1pm on Wednesday, March 2nd! Points will be awarded on site during the special hours above OR show proof of donation and receive a treat in the Fitness Center! Earn 1250 PTOFitRewards points for donating blood. 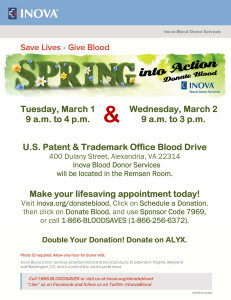 For USPTO guidelines for donating blood, visit http://ptoweb.uspto.gov/ptointranet/ptosecurity/safetyhealth/hs_bm.htm.